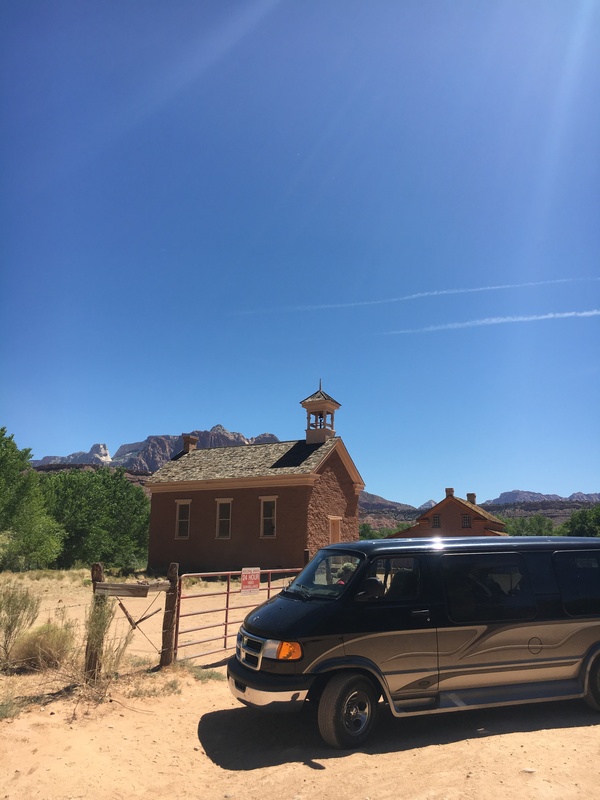 Zeroing in on Zion – Don't make me turn this van around! Don't make me turn this van around! One family. A difficult diagnosis. An old van. And a new lease on life. We pondered. We debated. We Googled. We even mulled. We could not decided what to do with Utah. Arches? Canyonlands? Moab? Escalante? Zion? You can’t swing a cat without hitting a National Park in Utah. The one we were told NOT TO MISS was Zion. 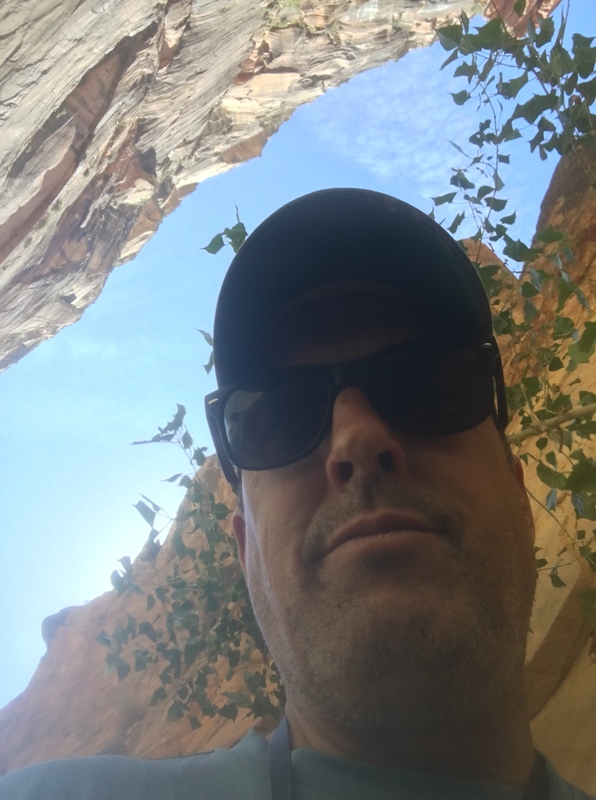 The problem was, it’s over 100 degrees in the daytime in Zion – and I have a vascular condition and don’t want to die making lunch. In fact, it’s hot almost everywhere and – not surprisingly – all the good camping in cooler elevations was booked. 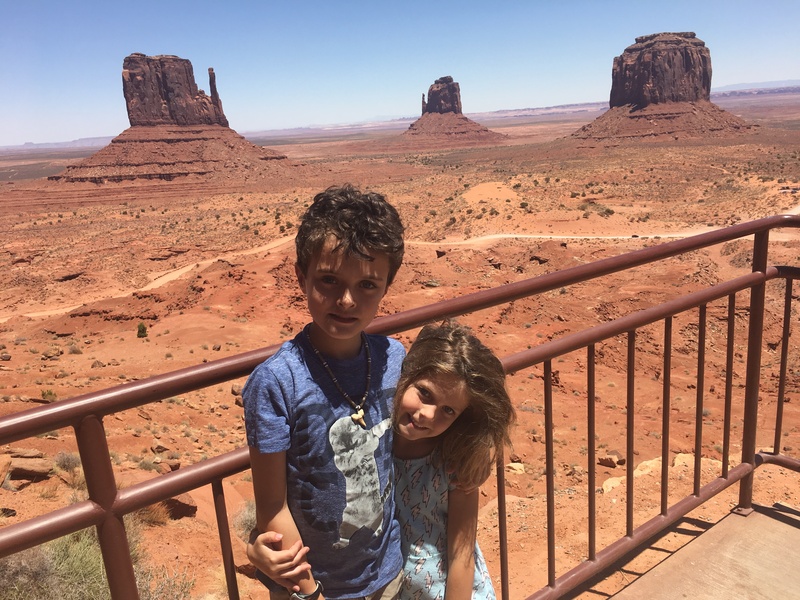 We had some nice Instagram friends @famtripsinspo who gave us enough advice to spend a month in Southern Utah. 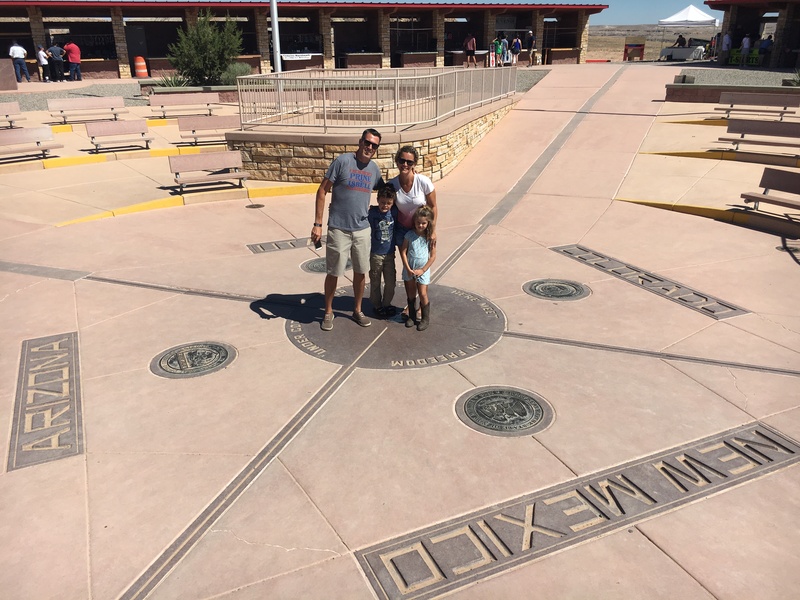 We decided we couldn’t miss Zion, and we bit the bullet and booked a La Quinta in the town of Springdale, which sits just outside the park entrance. But first, we passed through some amazing country. There’s a little justice in the inhospitable land we pushed the Native American onto. The “Four Corners” site and Monument Valley both sit in land our government neglected to steal. Our van, in fact, was parked in New Mexico and Arizona. 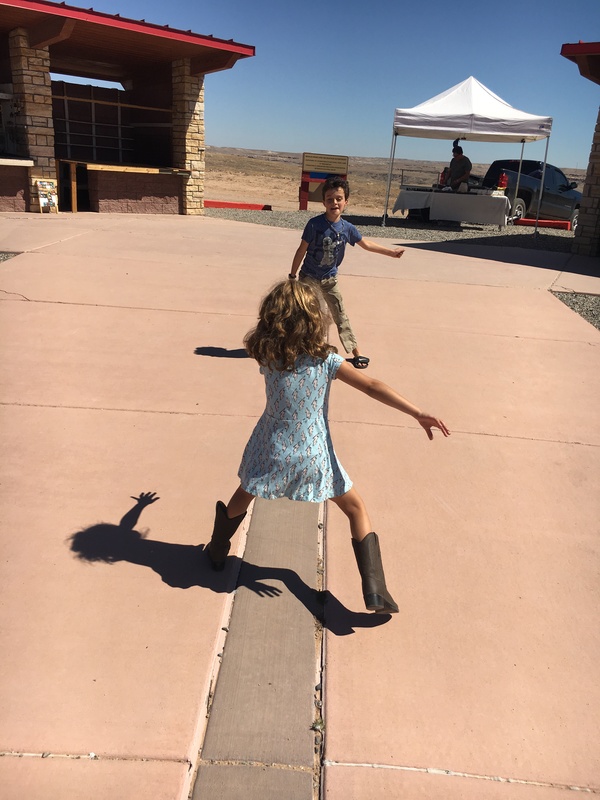 The kids got a kick out of being in multiple states. 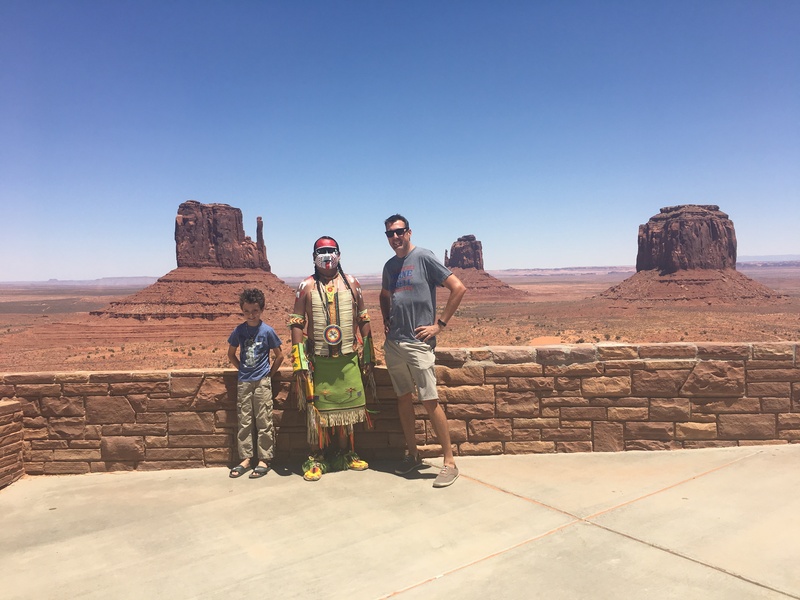 Monument Valley is as remote as it looks, and totally worth the visit. 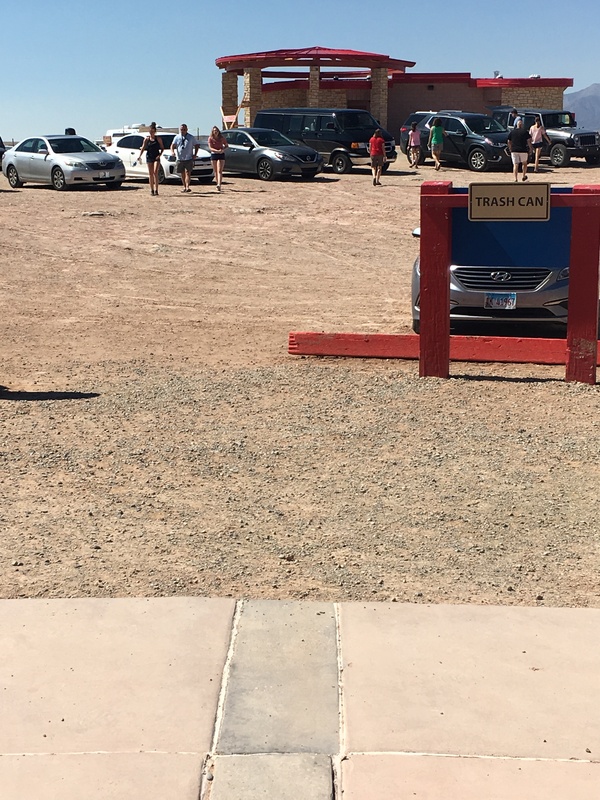 We ate in the Navajo owned restaurant with an unmatched view. 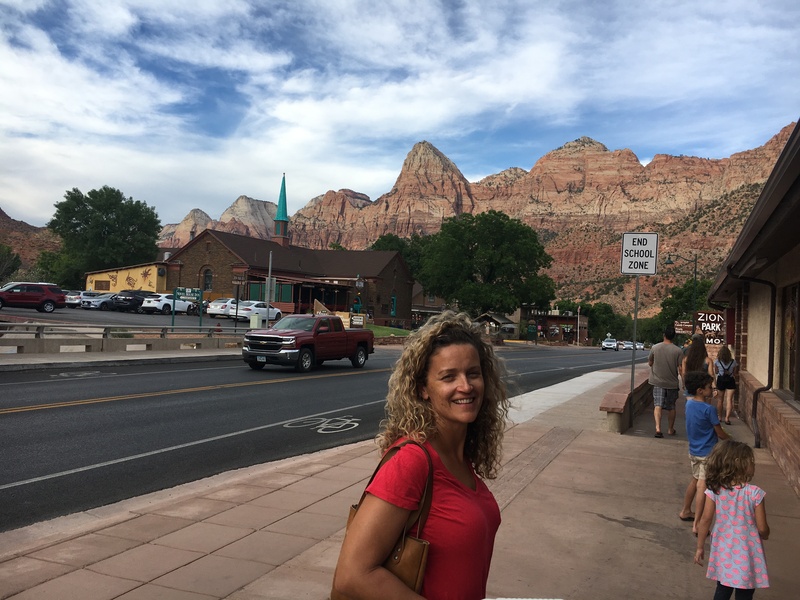 A few hours later, we passed through a portion of Zion National Park, including a really long tunnel through the side of a mountain, and reached our hotel. I don’t want to talk about what we paid for this La Quinta. It as not La Quinta-priced, but it was also beyond the quality of any La Quinta I’ve stayed in. The real key was the pool surrounded by mountains. It was the perfect greeting after our drive from Colorado. We dunked ourselves, and dunked our clothes. No, she isn’t dying them black… that’s how dirty they were. 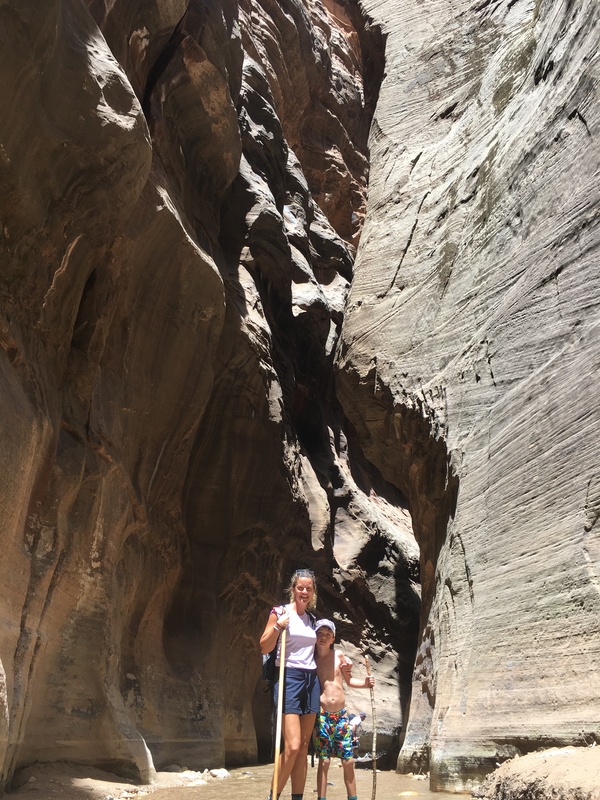 At The Narrows there is a one-mile, paved, handicapped-accessible trail along the Virgin River, which over millions of years is responsible for the steep surrounding walls. At the end of this stroll, you can wade into the river (hiking shoes, hiking stick highly recommended) and keep on going (as long as the river isn’t too high and there’s no chance of flash-floods). We were there during a long dry spell, so the stream was low and cool. We waded in and continued walking up the river. You don’t have to go far to get the effect. There’s nothing like it. This may have been our son’s favorite activity of the trip thus far. Our daughter struggled a little so I took her back so Monica and our little explorer could continue. 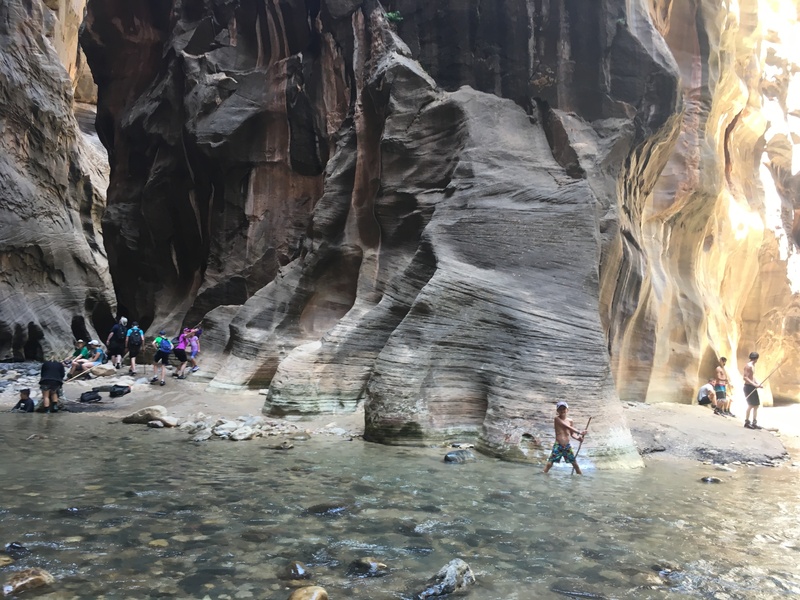 They hiked two hours into the canyon and came back with photos from another world. 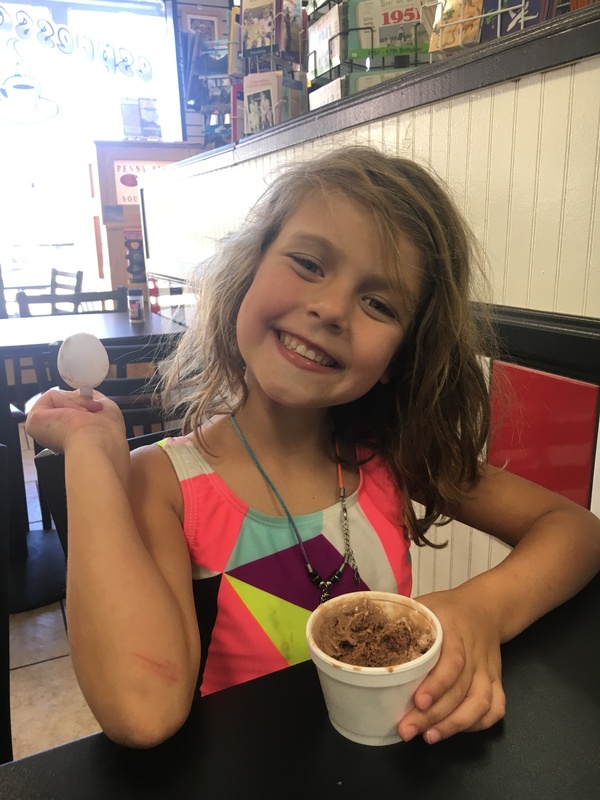 Our girl traded hiking for ice cream. She’d trade most things for ice cream. The town of Springdale has lots of food for the apres-hike appetite. The town is surrounded by stunning vertical walls I wouldn’t have believed existed until I saw them for myself. As the dust settled (and swirled down our shower drain) we only saw a tiny fraction of Zion. Had the weather been cooler, or the hotel cheaper, we might have been able to stay longer. 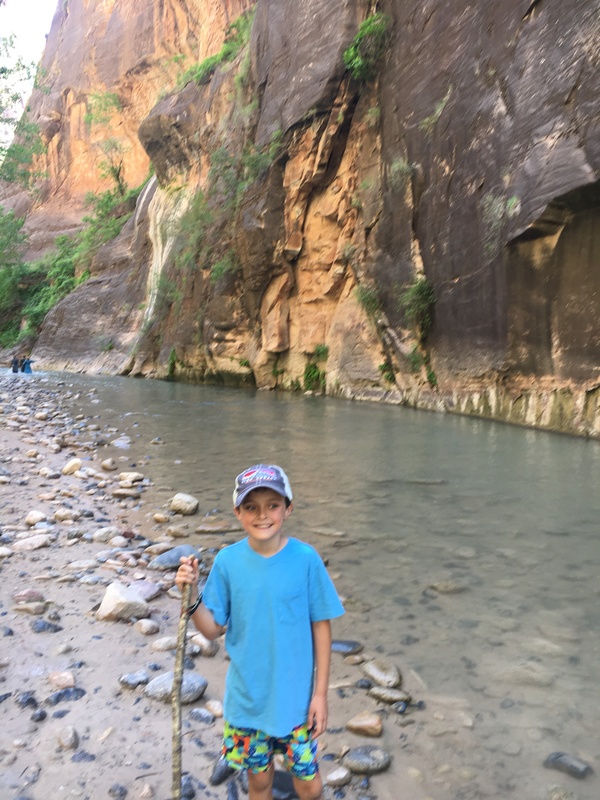 We left Zion with a few days to play with before heading up to our coveted reservation at Yosemite in California. We finished breakfast still unsure of where we were going. If you want to find out, make sure you follow this blog! Weather is a big factor at Zion. Check ahead. You can’t do things in Zion that you can do at sea level. Don’t let this scare you. Let it make your visit more enjoyable. Zion is better than the Grand Canyon. By far. Don’t be like us. Book ahead. There are no last-minute deals. You don’t need to rent shoes to explore the narrows. Hiking shoes will do just fine. And they’ll dry in the desert heat in a few hours. 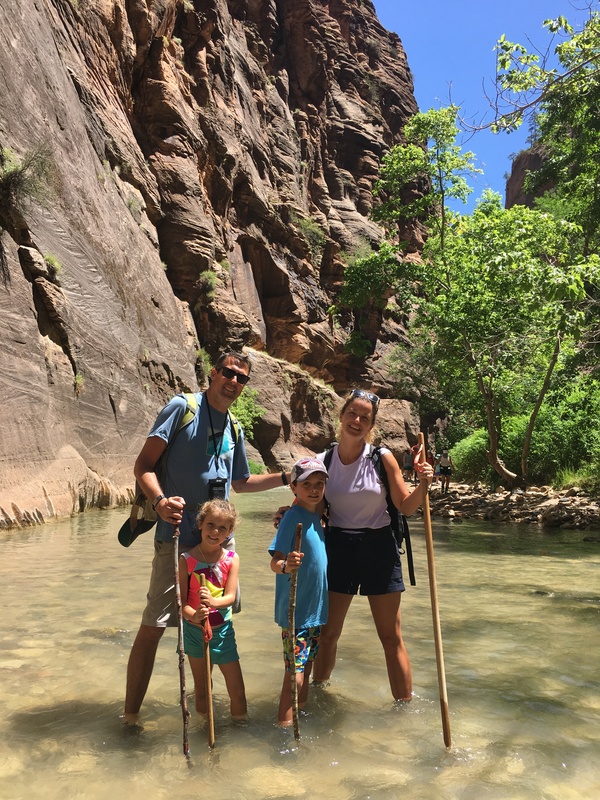 Go visit Zion Guru, rent a walking stick, and even hire a guide. The manager, Andy, is from St. Pete, Florida (our home). Never miss a post by clicking the FOLLOW button or entering your email address on the bottom of this page! Do it now! We also have a public Facebook page. Be sure to “like” it for more pics that don’t make the blog, and post updates. Instagram is linked to this page. If you don’t see it, you’re not looking hard enough. “Don’t make me turn this van around” is written by Jonathan Kile, and approved by Monica Kile. Check out Jon’s periodic column, “So How’s That New Book Coming?” at Creative Loafing – Tampa. His 2014 thriller, The Grandfather Clock, is available free for Kindle on Amazon.com and other eReaders at Smashwords. Reach him at jkilewrites@gmail.com. Monica is a freelance grant writer, non-profit consultant, tour guide, and connoisseur of 70s rock lyrics. We boldly leave Santa Fe…and only make it an hour down the road. Vegas baby! And Death… Valley. 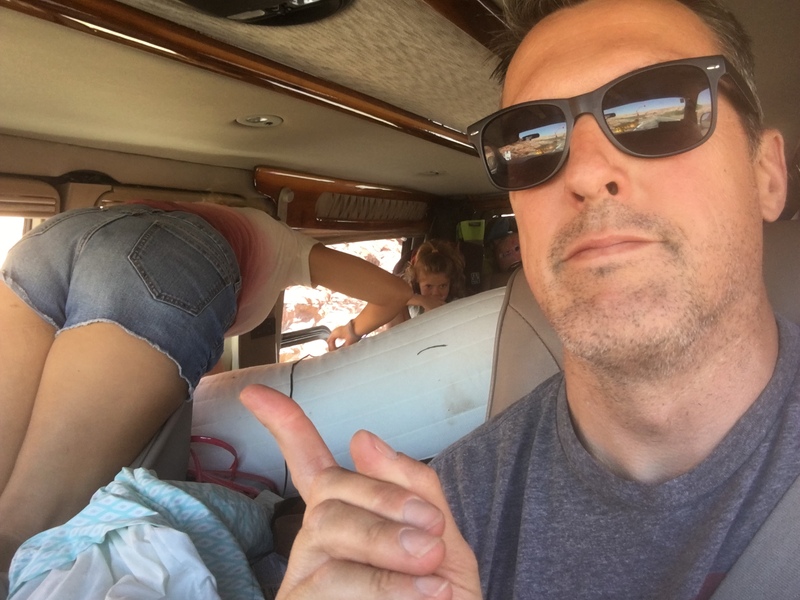 Pingback: Our unsinkable trip to the San Juan Islands OR Why men shouldn’t plan family trips – Don't make me turn this van around! Pingback: Rushmore and more and more – Don't make me turn this van around! Pingback: A long series of near misses or a trail of destruction? – Don't make me turn this van around! Until late 2015, life was exceedingly normal for the Kile family: work, school, little league, ballet – sweating the small stuff and missing the big picture. Then Jon suffered a ruptured abdominal aneurysm that required life-saving surgery. It would be the first of seven surgeries over the next seven months, including emergency open-heart surgery to save him from an aortic dissection. He was eventually diagnosed with a rare genetic condition called Vascular Ehlers-Danlos Sydrome, in which the most serious symptom is fragile arteries prone to spontaneous rupture. Jon has adjusted to a lifestyle which forbids him from strenuous activities and stress, while finding inner peace and humor against the backdrop of raising two feral children. Jon gave up business proposals and sales presentations for writing, car-line and PTA, while Monica traded committee meetings and budgets to take on the roles of patient advocate, genetics expert, cool mom and goddess of a 17 foot Dodge van. Together they’ve determined to “live in the moment” and fill the empty spaces in the calendar with family travel and adventure. Featured Post: ‘Live in the moment’ because a moment may be all you have. Before we got our sweet ride, I was a frequent passenger in another type of van. Don’t make me turn this Eurovan around?